Fresh on the market in the sun soaked shores of Lauderdale By The Sea , Florida is this stunning waterfront estate. Nestled in the sought after Bel-Aire enclave is this five bedroom/three and half bathroom jewel. Offering Atlantic water front views throughout its 4,500 square feet of dramatically appointed living space. A custom gourmet style kitchen is graciously equipped with sleek marble counter tops and a full suite of stainless steel appliances. There is an open floor plan perfect for entertaining. All of the glass windows and doors have high impact features throughout. The home’s master bedroom and bathroom are on the ground floor and have generously scaled walk in closets. There is a spacious forty foot plus dock space for the avid boater. The three car garage boasts extra storage space. The sparkling pool overlooking the water is spectacular! 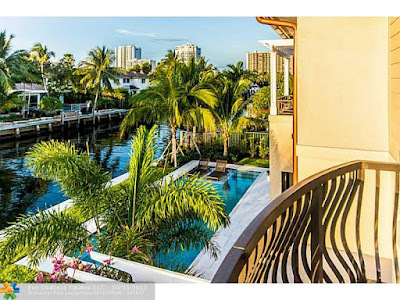 1937 Coral Reef Drive is located in Lauderdale By The Sea and is currently asking $2,295,000. This Bel-Aire listing is courtesy of USA Realty Advisers MLS# FX-1353253. Bel-Aire is an exclusive neighborhood tucked in Lauderdale By The Sea. Residents enjoy close proximity to Los Olas, Mizner Park, Boca Town Center and The Galleria Mall. Located just north of Cypress Creek Road there is easy access to Interstate 95 and Ft. Lauderdale International Airport.